A few months ago, I devoted a two-part post (part 1; part 2) to a particular argument and counterargument concerning the age of the world in David Hume’s Dialogues Concerning Natural Religion (1779). I’m returning to the Dialogues now to discuss a different passage, with two aims in mind. I want to identify, first, what may be a previously unnoticed influence on the passage, and second, what may be a previously unnoticed—and certainly is a fairly amusing—typographical error quoting the passage. As its title suggests, the Dialogues is a philosophical work in dialogue form, with three protagonists, Cleanthes, Philo, and Demea. Pamphilus, who narrates the dialogue to his friend Hermippus, comments on “the accurate philosophical turn of Cleanthes,” “the careless skepticism of Philo,” and “the rigid orthodoxy of Demea,” which might lead you to assume that Hume’s views are voiced by Cleanthes. In fact, however, it’s Philo who is generally Hume’s mouthpiece. That’s a good précis of Cleanthes’s basic argument, and much of the rest of the Dialogues consists in Philo’s dissecting and attacking it. Various philosophers and theologians have been suggested, with varying degrees of plausibility, as models for Cleanthes, including Joseph Butler, Lord Kames (né Henry Home, a cousin of Hume’s), Colin Maclaurin, and George Cheyne. I don’t want to try to adjudicate the issue here. But the striking (and emphasized by me) phrase “ravishes into admiration,” as I noticed a few years ago, appears, more or less, in Cudworth’s A Treatise Concerning Eternal and Immutable Morality (1731). Ralph Cudworth (above; 1617–1688) is not really a household name. He spent his career at Cambridge University. He was the informal leader of a group of thinkers later dubbed the Cambridge Platonists, often taken to include his daughter Damaris Cudworth Masham, one of the earliest English women philosophers. 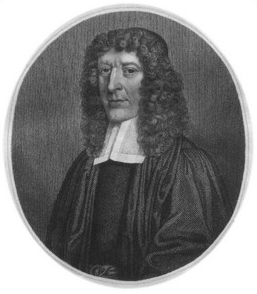 Cudworth published just a single major philosophical work, The True Intellectual System of the Universe (1678), but a number of his manuscripts were published posthumously, including the Treatise. If you were to judge just from his explicit references to Cudworth, you could suspect that Hume might not have read him at all: his name appears just three times in Hume’s published writings, always in lists of philosophers (“Cudworth, Lock[e] and Clark[e]”; “LOCKE, CLARKE, and CUDWORTH”; “CUDWORTH, CLARKE, and others”—emphasis in original in all three cases) adopting or ignoring various philosophical positions that Hume is discussing. It’s not just because “ravish” and “admirable” occur in the same passage that makes me think so. Henry More, a fellow Cambridge Platonist, wrote in 1653 that he was “ravished with admiration” of Descartes’s mechanical philosophy, yet there’s no reason to think that Hume might have been thinking of More when he was composing part II of the Dialogues. But in the same section of the Treatise, Cudworth is at least hinting at the same type of argument that Cleanthes is expounding in the Dialogues, as I’ll explain in part 2.